Even though it is already a few weeks ago, that I visited your dojo, the pleasure of having had the chance to experience your freeform aikido still stays with me. Again, thank you all for your very warm welcome! And finally, here are some lines from me for your page. What was it like for me to experience Freeform Aikido? My aikido is based on the forms of Christian Tessier and I’m studying for quite some time with Jan Nevelius and Jorma Lyly from Stockholm, whenever they are in Berlin. There are many parallels to the approach, which is also focused very much on the awareness and deep contact with your partner and really accepting and taking on the energy / the attack from your partner. So, it was a fascinating experience to practise your Freeform aikido and to find so many links. 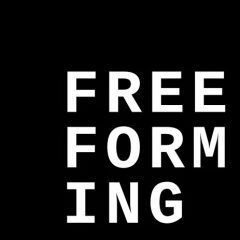 I found that freeform made me very aware and gave me a deep contact with my partner and the group. Freeform aikido is like flowing in contact with the partner. The timing and speed of our movements came naturally through the contact. Any change of speed was a mutual decision, a result of constant communication. Also, I find that your free forms prevents from getting into a routine. As every aikidoka might know, and has experienced throughout countless repetitions of aikido forms, there is a danger of drifting off. Freeforming is like acting in the unknown. I have to be in touch with my partner, because I don’t know what is coming next. I have to be aware and yet I can give myself fully into the movement the same time. I very much appreciated that. I also liked how you included legs, arms and the entire body in the freeforming. That made it a very three-dimensional. And getting out of strict rules frees the movement and gets the head out of the way. I think Freeform Aikido is a valuable contribution to everybody’s training, regardless what school of aikido I’m coming from. I experienced Freeform aikido also as joyous, playful and great fun. It enriches my aikido practice and also my personal development. To me it’s a very pure and refreshing free form of the spirit of Aikido. Now having written so many words about my experience and my thoughts and knowing that aikido should be practised and not written about, I hope to share more freeforming lessons with you all. And wish you all the best for your dojo, many students, and new discoveries in movement for freeform aikido.